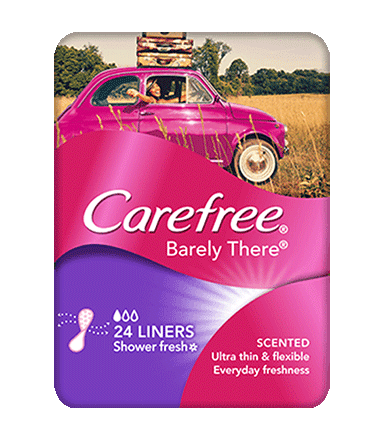 CAREFREE® BARELY THERE® Scented Shower Fresh Liners feel just like the name suggests – barely there! They’re made for the days in-between your period and contain natural plant extract to help neutralise odour for a clean fresh feeling all day long. They’re really flexible and follow the movements of your body so you’ll hardly notice you’re wearing them.